The advertisers/merchants are typically referred to as affiliate merchants and the publishers/salespeople are referred to as affiliates. Benefits of affiliate marketing include the potential for automating much of the advertising process (accepting & approving applications, generating unique sales links, tracking & reporting of results) and payment only for desired results (sales, registrations, clicks). Paying only for performance shifts much of the advertising risk from the merchants to the affiliates, although merchants still assume some risk of fraud from partner sites. 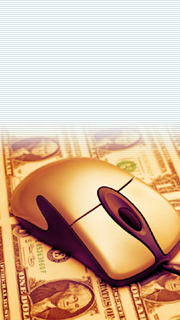 Affiliate marketing has contributed to the rise of many leading online companies. Amazon.com, one of the first significant adopters, now has hundreds of thousands of affiliate relationships. It is not uncommon to see industries where the major players have affiliate programs--often structured in a similar manner and making similar competitive changes over time.